A proud partner of the Young Bar of Montreal, Desjardins is happy to offer numerous advantages, attractive rates, and reduced fees on a complete range of products and services. The benefit of doing business with Desjardins Group is the expertise of Canada’s number one financial cooperative group, ranked the strongest financial institution in North America. Thousands of Canadian lawyers already spend less on their auto and home insurance! Join in! This insurance plan is sponsored by the Canadian Bar Insurance Association (CBIA), the only national insurance association in Canada destined for all legal professionals and their familiers, as well as to law firm enployees. To get a quote, call 1 877 314-6274 or click on www.assurancebarreau.com. Get the right auto coverage and enjoy a worry-free driving! You save in many ways! Some conditions may apply, In Quebec, the home and auto insurance plan is sponsored by the CBIA, and underwritten by the Personal General Insurance Inc. CBIA Insurance Services is a division of 3303128 Canada Inc., a licensed insurance broker. For specific provisions and conditions of outlined coverages as well as some restrictions and exclusions, please refer to the insurance p0licy. The Institut FORMAT, a communications specialist since 1981, offers 25% off a regular training for YBM members. Our services can be tailored to your media relations training, business lecture, or presentation needs. The length of a training can vary from two to seven hours depending on the selected option. Launch, explore and develop your practice using the best management tools without having to buy them! 25% off the second year! To subscribe to the pla, you must be a member of the YBM in private praticie. LASIK MD is a leading provider of vision correction procedures, with more than 30 clinics located across Canada. We offer a full range of vision correction procedures best suited for every pair of eyes—including procedures for patients with up-close reading vision loss. Our dedicated team of eye care professionals will assist you at every step of the process and address any questions you may have along the way. 10%* off a Custom LASIK procedure and up to 20% on a PresbyVision™ procedure** at LASIK MD. Book your free consultation at 1-866-216-4331 or visit www.lasikmd.com/corporate/jbm for more information. *Only applicable towards a Custom LASIK/Custom All Laser procedure for both eyes. Cannot be combined with any other discount, corporate plan, special offer, or financing plan with deferred payment without interest. Not applicable on a previously completed surgery. Offer subject to change without prior notice. Proof of membership, enrolment or employment required. Certain conditions may apply. **Only applicable towards PresbyVision™ procedures for both eyes. Up to a maximum savings of $500/eye. Cannot be combined with any other discount, special offer or corporate plan. Not applicable on a previously completed surgery. Offer subject to change without prior notice. Proof of membership, enrolment or employment required. Redeemable at applicable LASIK MD clinics except clinics located in the provinces of Alberta and British Columbia. Certain conditions may apply. To save your time, MédicAssurance offers a free, confidential prescription drug delivery service in 24 to 48 hours everywhere in Canada. Since May 1, 2006, YBM members have been taking advantage of a complete group insurance program, which offers one of the most competitive coverages. The YBM has reached an agreement with MédicAssurance Inc. to set up insurance plans (prescription drug, health care , dental and travel insurance), underwritten by Green Shield Canada. This agreement is especially intended for members who are currently covered under the public plan administrated by the Régie d’assurance maladie du Québec. Do you know that according to the Act respecting prescription drug insurance, anyone eligible for a private plan must join that plan and provide coverage under it for their spouse and children unless already covered by an employee benefit plan or the spousal plan? Considering complexity and particularity of different options available., MédicAssurance assistants will be happy to provide guidance and advice for a better understanding of the plan, this offering you a personalized and professional service. The Public Prescription Drug Insurance Plan is a governemental insurance plan which provide basic prescription drug coverage, and is administrated by the Régie d’assurance maladie du Québec (RAMQ). You must pay an annual prenium for this plan, which is collected every year when your income tax returns are filed; prenium for the period from July 1, 2017 to June 30, 2018 is $667.27. Prolang is more than just a language school, we also offer a range of additional professional language services. Our team of experts, ranging from experienced coordinators to professional language trainers, have created services to meet your business needs. As YBM member, you can receive an exclusive 10% discount on Prolang services. The Société québécoise d’information juridique or SOQUIJ (“Quebec’s Society for Legal Information”) is pleased to offer a 10% discount on each annual subscription to e-newsletters Express 2.0 to all YBM members. These customized e-newsletters keep you current on Quebec law by providing daily updates on recent developments in case law, legislation and legal commentary. Using the Express 2.0 of SOQUIJ, you will enjoy the power, flexibility and speed provided by the latest innovations in databases and IT. L’Express and L’Express Travail deliver a rich content from a team of SOQUIJ lawyers. These e-newletters can be accessed at all times from most devices. To subscribe, please contact the subscription service at 514-842-8745 or toll-free at 1-800-363-6718, or email us at subscription service. To receive a discount, mention your YBM membership. The program SOQUIJ dès aujourd’hui (“SOQUIJ today”) offers financial aid for SOQUIJ research and legal information, updating tools to young lawyers and notaries who are just starting out. All law students and newly admitted members to the Roll or Order of the Barreau du Québec and the Chambre des notaires du Québec can benefit from this program. Spread over a three-year period, the program offers discounts on the use of Juris.doc, Plumitif or Collections services, or on the subscription to the two Les Express newsletters. The first year, you receive a 100% discount on the maximum consultation value of $2,000; the second year – a 75% discount on the maximum consultation value of $4,000; the thrid year – a 50% discount on the maximum consultation value of $8,000. For further details, please visit the SOQUIJ website. A real Nordic spa in Montreal! Our mission is to create a unique, high quality and relaxing experience in a natural environment close to urban areas, which promotes the healing of body and mind. 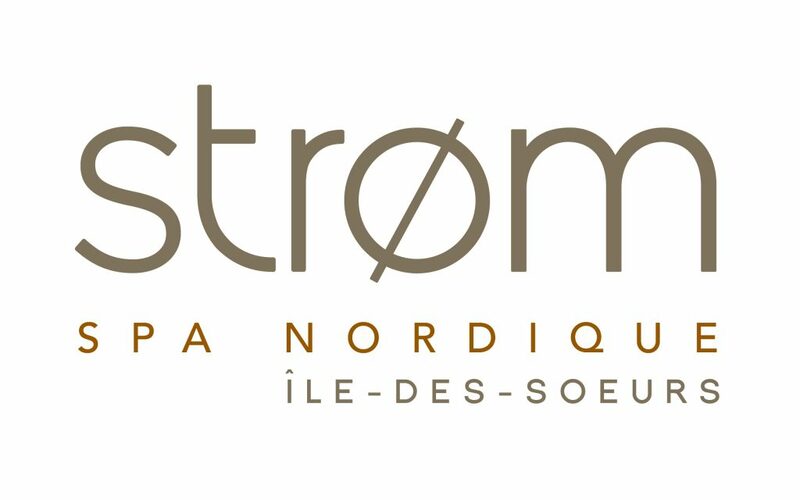 Located by the Lac des Battures in L’Île-des-soeurs, Strøm Nordic Spa invites you to enjoy its exceptional and beautiful natural settings. A 15% reduction on gift certificates and packages purchase.